Tulsa, Oklahoma– 9 October 2018 – VoiceFoundry, a principal provider of enterprise cloud-based contact center solutions with a specialized focus on customer experience and automation, today announced its achievement of Advanced Consulting Partner status in the Amazon Web Services (AWS) Partner Network (APN) for the delivery of services in support of Amazon Connect and other AWS services. 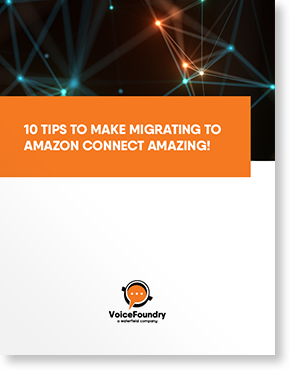 VoiceFoundry is passionate about the delivery of cloud-based contact center solutions and is uniquely focused on helping businesses migrate to the cloud with Amazon Connect. Founded in 2016 specifically to support the Amazon Connect ecosystem, VoiceFoundry recently met the requirements to achieve the APN Advanced Consulting Partner status for delivering design and deployment services in support of Amazon Connect. Taking a best practices approach and offering a broad range of services, VoiceFoundry works across the AWS services portfolio in order to provide a differentiated contact center solution for customers. Dedicated to the delivery of cloud-based solutions for natural, omni-channel success-oriented interactions, CTI, Artificial Intelligence (AI), Workforce Optimization, User Design, Analytics and enterprise integrations, VoiceFoundry makes it easy for customers to enhance the customer experience by leveraging AWS. Attaining the APN Advanced Consulting Partner status validates VoiceFoundry’s full commitment to the promotion and delivery of AWS. 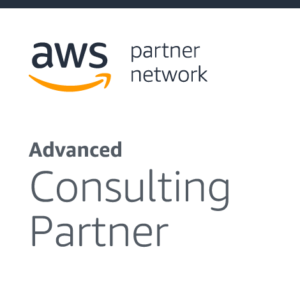 Achieving APN Advanced Consulting Partner status acknowledges the dedication to training and certification as well as the overall performance of VoiceFoundry as a trusted consulting provider for Amazon Connect. Bringing a deep legacy of knowledge and best practices around Contact Centers and Customer Experience to the table, VoiceFoundry understands the challenges that contact centers are facing today, particularly the growing customer demands and expectations. With over 100+ years of cumulative experience delivering exceptional contact center solutions, VoiceFoundry presents experienced professionals including solutions consultants, application developers, technical architects and AWS certified engineers from across North America, APAC and the UK.